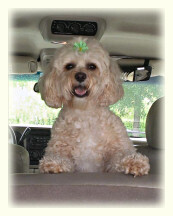 for a special slide show of SHELBY, the Fridley's fabulous Cava-Poo-Chon! 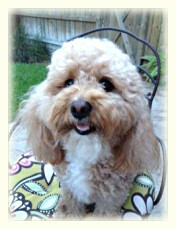 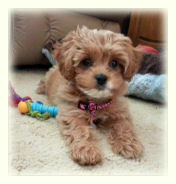 Sharing our slideshow of Shelby, a Timshell Farm Cava-Poo-Chon owned by Rob & the Fridley Family! 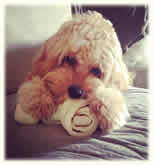 She's hands down one of the cutest dogs of ours or anyone else's for that matter! 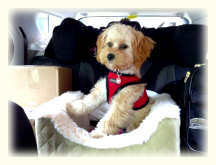 CLICK ON THE PUPPY'S NAME below, to see more pictures and read about each family's experience with their Timshell Farm Cava-Poo-Chon! 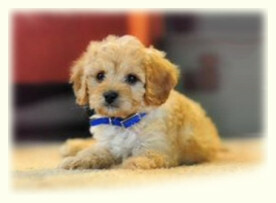 See more individual puppy pages, indicated by a :o) symbol on our Site Navigation Map page!